Qwizdom QVR is a virtual audience response system that enables lecturers to ask questions during class and allows students to respond. Asking questions is a great way to engage students in lecturers. Use audience response systems such as Qwizdom to enable the teaching practice of questioning. Padlet can be used to complement learning activities that require students to discuss ideas during or outside of class time, bring their own point of view, share content and show how they work through problems. The ability to capture, store and share this information in a variety of formats can help students reflect on the learning journey and provide lecturers with valuable qualitative information. Reflexive activities – student’s perceptions, knowledge and attitude over time. Construction of the 360 Video Production studio (located in the Oceania room L4 Puaka James Hight Library) is close to completion. The studio is operational and awaiting the installation of a green screen and new LED lighting. The studio consists of a main recording room, a control room, two editing rooms and an audio recording booth. The video production team also has a DJI Mavic 2 Pro drone equipped with a high resolution video camera. The e-Learning teams Video Production Service is ideal for the creation of high quality video materials for the purposes of learning, teaching and research. 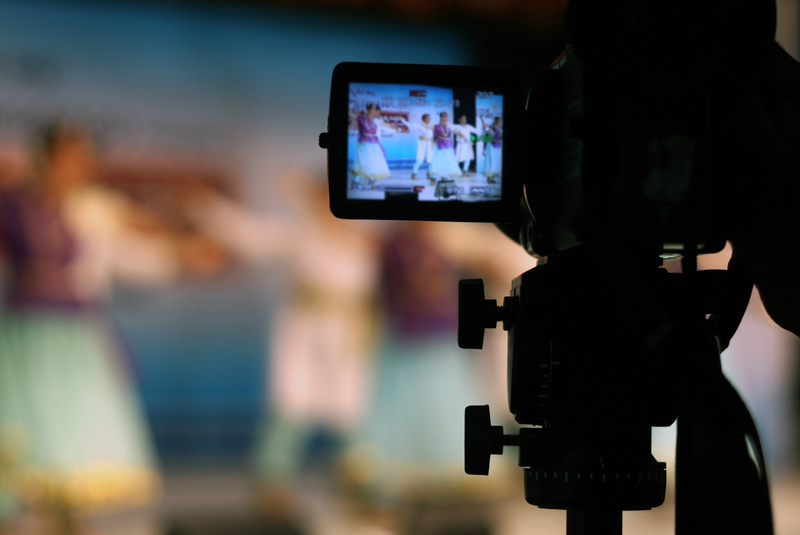 Use the e-Learning support video Production team to create content for learning & teaching. 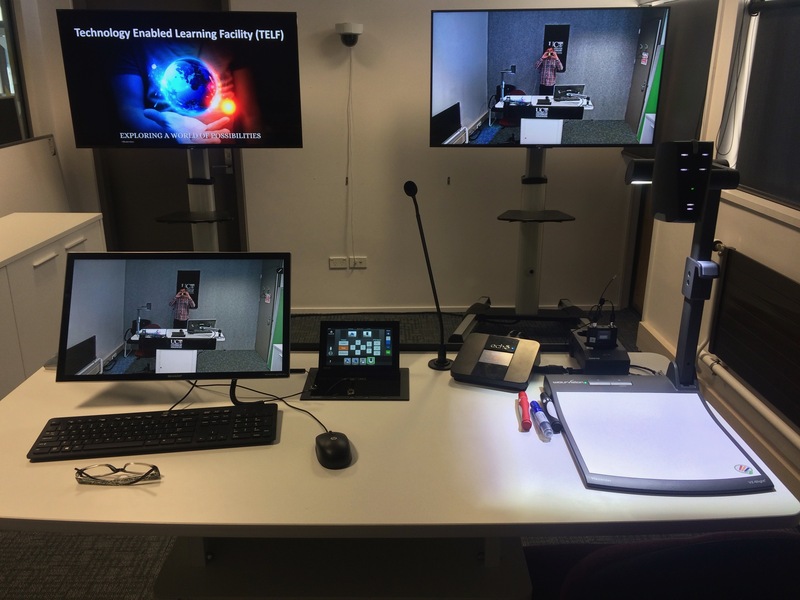 The Technology Enabled Learning Facility (TELF) is a new service offered by the e-Learning team to support lecturers in the use of learning technologies. James Hight Room 502 has been equipped a lectern and other technologies typically found in UC teaching spaces. Practise using and/or receive training in the use of the teaching technologies (lectern) found in UC teaching spaces. Create teaching materials (video recordings, narrated PowerPoint presentations etc.). Teach classes and conduct tutorials to students at a distance using web conferencing (Adobe Connect, Zoom). If you wish to use this service contact a member of the e-learning Support team. In this video Dr. Rachel Martin from the College of Education, Health and Human Development describes students’ use of multimedia collaboration tools as part of their learning. In this presentation Fiona Dalzell, tutor in environmental ethics, talks about the use of learner created videos for assessment. Professor Tanja Mitrovic, Computer Science and Engineering, presents her research about video based learning. In this video Professor Tim Bell describes the practice of questioning students during lectures using the University of Canterbury developed polling application UCanAsk. The use of digital technologies in learning and teaching is an exciting and growing activity at the University of Canterbury. This blog presents information and resources concerning the use of technologies in learning and teaching. Contributions from University of Canterbury staff and students are welcomed and encouraged. If you would like to be an author of a post in this blog please contact Pinelopi Zaka (pinelopi.zaka@canterbury.ac.nz).